Marianne Bertrand is the Chris P. Dialynas Distinguished Service Professor of Economics at the University of Chicago Booth School of Business. She is a Research Fellow at the National Bureau of Economic Research (NBER), the Center for Economic Policy Research (CEPR), and the Institute for the Study of Labor (IZA). Professor Bertrand is an applied micro-economist whose research covers the fields of labour economics, corporate finance, and development economics. Her research in these areas has been published widely, including numerous research articles in the Quarterly Journal of Economics, the Journal of Political Economy, the American Economic Review, and the Journal of Finance. She is Faculty Director of Chicago Booth’s Rustandy Center for Social Sector Innovation and the Faculty Director of the Poverty Lab at the University of Chicago Urban Labs. She also serves as co-editor of the American Economic Review. 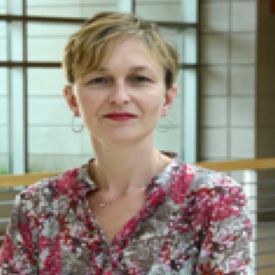 She has received several awards and honors, including the 2004 Elaine Bennett Research Prize, awarded by the American Economic Association to recognise and honour outstanding research in any field of economics by a woman at the beginning of her career, and the 2012 Society of Labor Economists’ Rosen Prize for Outstanding Contributions to Labor Economics. She is a Fellow of the American Academy of Arts and Sciences. Born in Belgium, Professor Bertrand received a Bachelor's Degree in economics from Belgium's Universite Libre de Bruxelles in 1991, followed by a Master's Degree in econometrics from the same institution the next year. She moved to the US in 1993 and earned a Ph.D. in economics from Harvard University in 1998. She was a faculty member in the Department of Economics at Princeton University for two years before joining Chicago Booth in 2000. Should civil servants be allowed to serve in their home areas?